Hello all. I have recently aquired a varieze that was abandoned and left for dead. The over all apperance was very drab, but I decided to give it shot and see if this bird can fly again. The fiberglass is dried out and the previous micro was cracked and peeling. I have spent about 2 weeks sanding off all the dead material and geting down to a good solid surface. I would like to get some experienced advice about this project. Is it possible to revive old fiberglass and what should be my first concerns with respect of getting back to a workable surface. I would like to post some pictures but it appears this forum wants a url to post from, is it possible to post from my hard drive? thanks in advance for any help or assistance given. 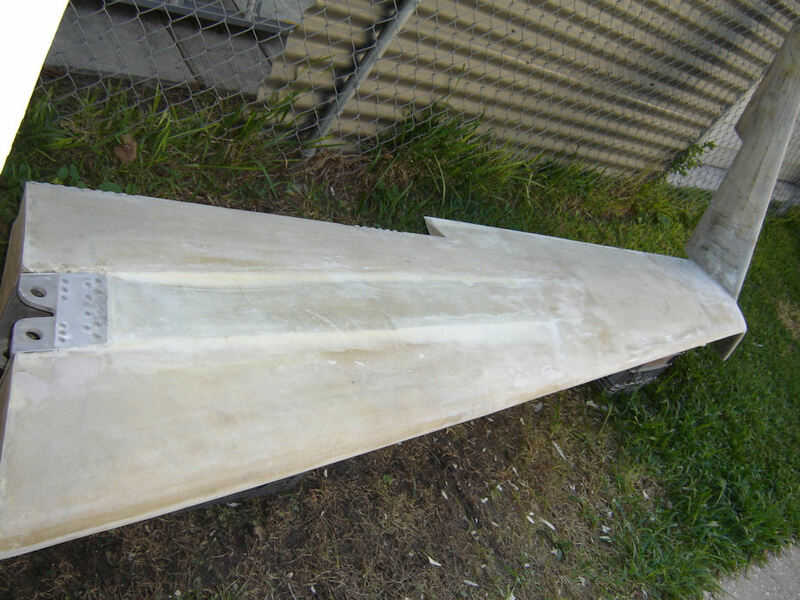 Fibreglass can't be "revived", only replaced. A trained experienced person closely examining your a/c can decide if it's worth fixing-not examining pictures on the internet. 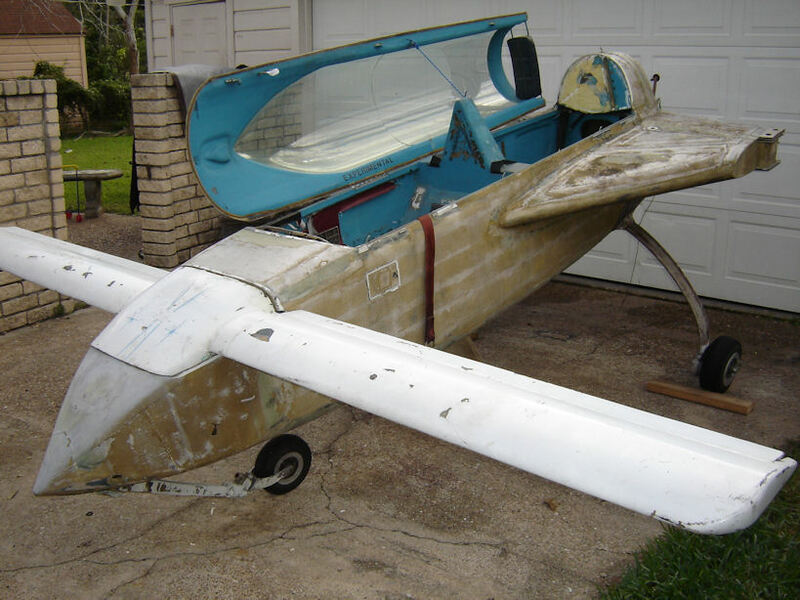 For me, the most important parts of your post are that you are considering getting the old bird to fly again and that the fiberglass is "dried out". For anyone to give you any advice on the internet, we need more info about the fiberglass being "dried out". Can we start there with much detail about what you mean by "dried out"? but only 499 kb per shot. as per your post, i think you mean to say "revive the micro/paint not the glass work, because if the glass is dry then it was junk and never should have been flying. just don't cut the top glass over 50% and balance the ailerons and elevators, do a wb. clear as mud right ? you should know how they are built so you can see if something is bad and going to kill you(or me on the ground). find someone close that can oversee some of the repair in the start then rock and roll. if you have already sanded to much, it can be fixed easy. 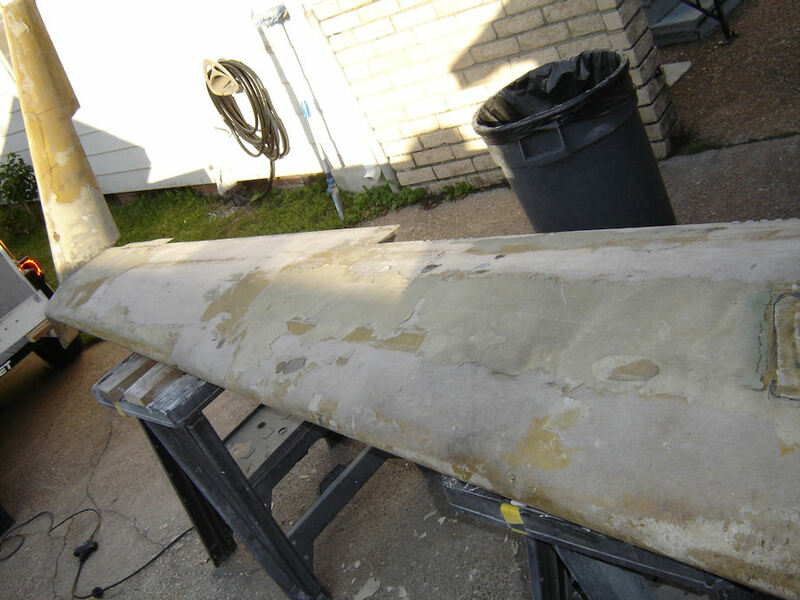 Thanks for the reply, Yes I believe what was dry is the micro and I have not sanded through layers of fiber glass, there are some existing areas that will need some repair though.Are there any composite builders here in houston tx that would be able to view and give me an opinion. Im still not sure how to post a picture,tried to click manage attachments but nothing is happening.Maybe I can do better with photo bucket! Ok that seems to have worked,Not sure what was going on last night, maybe not enough sleep to operate lap top. 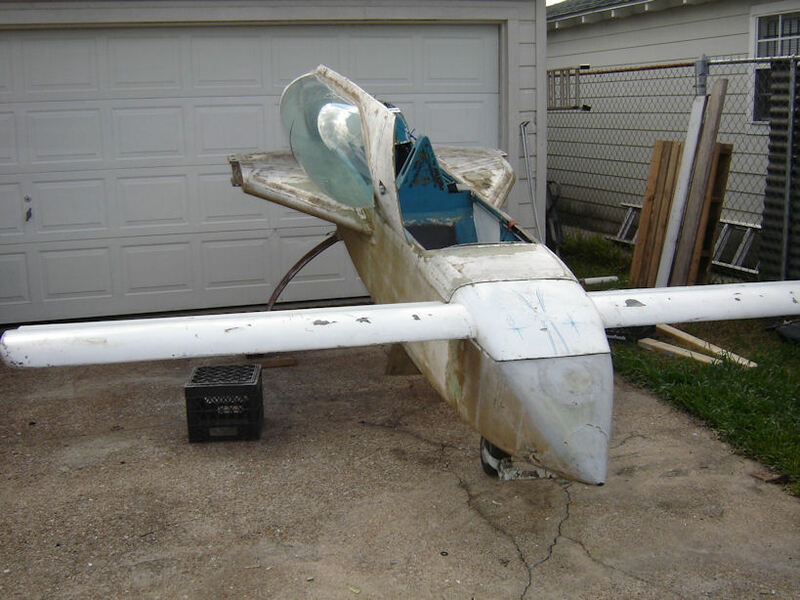 Thanks for the help,I have just started this project and I am having a lot of fun working on it, Hope it turns out to be a usable airplane. I still have lots to learn and I hope by talking with some experienced builders I will get a good idea of progressing this project. Right now my imediete concern is let a seasoned builder look at it and give me there opinion. No point in building an unsafe airplane. Second I would like to find a set of plans, I have already downloaded the POH and found it very interesting. It seems sourcing parts is going to be a chalenge however not imposible. So far I do not see any reason the I should not be able to build this thing to completion given the skills I already have. Looks like a great project. Welcome to the backward flyers. Looking at the way that you have your nosewheel retracted (part way), unless you have an electric nose retraction system, I would advise against putting any weight in the cockpit. The crank type retraction mechanism puts a huge load, in the incomplete retraction or extension mode, on the teeth of a rather weakish gear. This gear is subject to stripping with load. When the nose gear is retracted, the gear has little load on it (in fact negative), when it is extended, there is an over-center mechanism which again takes the load off of that wimpy gear. I am not a veri-EZ bulder/flyer (Aerocanard with electric nose builder) however I am somewhat familiar with the mechanism that the veri and the long use.-- Perhaps I am being overcautious, but reading all of the requests for new gears, or information on how to rotate the existing stripped gear, I felt that I had to write this. That is correct in fack the gear that is in this one is already striped and will be getting replaced. It is resting on what few teeth are left. If you are talking about the wing pins, you can't get them new. you can make solid ones out of the correct steel and lap them in to fit. Only need a lathe. I do have access to a machine shop, does anyone know what type of steel they are and what diameter the top and bottom are supposed to be? If not would it be advisable to just put a caliber on the top flange and botom flange and cut liner to that spec. The grade of steel is 4130. I copied the angle of an old pin with a dial guage. You could measure the top and bottom flange and the distance between them to get an angle. Remember you will be measuring the bottom of the taper on the top flange and the top of the taper on the bottom flange. Then you will need to check the contact with engineers blue dye. You must make full contact with both flanges at the same time with the pin. Recut and/or lap in to get it right. A wing has come off a varieze which didn't have accurate fitting pins and didn't use aviation grade bolts to hold them. Make the pins solid except for the one quarter inch hole for the bolt and the pins need to sit about one eighth inch above the flange. The bottom one is threaded for the bolt of course. A lock nut is also fitted there. The origional pin is cup shaped and hardened. The above one has never been tested but according to my research should be satisfactory if made solid. No liability is accepted. Hey guys, I just attended an EAA meeting last night and learned a bit more about my plane, a topic came up that I had not thought much about untill now. 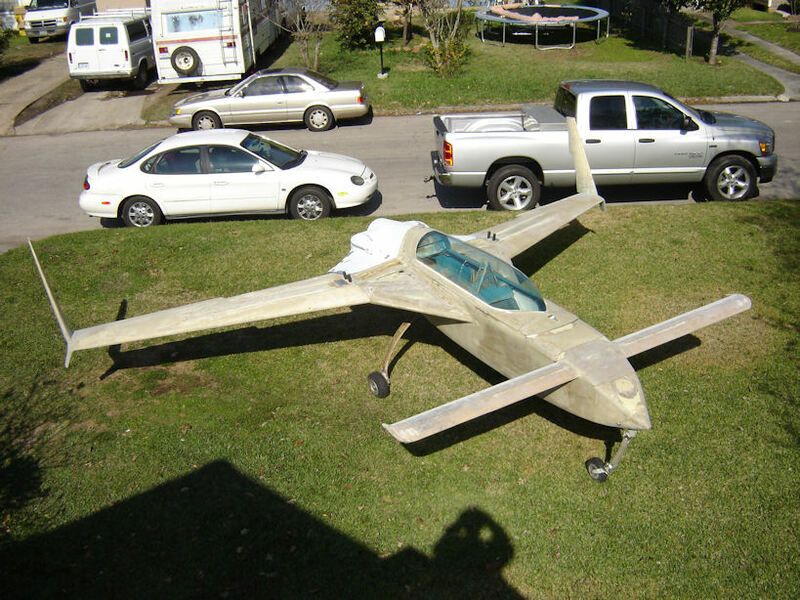 My plane does not have a data plate and the history is unknown, It is rebuildable based on the opinion of some fellow canard builders, but how do I register an airplane that I have no info on. For a slight indication of the capability and accuracy of the previous builder, using the plans, confirm the orientation of the layers of all fiberglass that you can see, for example on the winglets, wings, fuselage, and seat bulkheads. It is easy for a new builder to mis-read the fiber orientation. The structural areas ten inches around the canard bulkhead and main spar must not be comprimised. The canard must be built exactly to plans, including some details in the CPs. The sun's UV rays destroy fiberglass. This size of this note is extremely inadequate and should serve mainly to further drive you to the plans and CPs where, besides coming to know these folks here that will greatly add to your adventure, you will participate in the educational half of the fun and challenge of becoming a happy canardian. There was supposed to be Anhedral??? first, was it ever registered? did it ever fly. if so is it still registered? does it have N numbers. if not then it is still a project until it is finished so it can be registered to who ever finishes it and registers it. you are suppose to build 51 % of it yourself but it does not say how many helper you can have and what and when those helpers helped you. Good point, answers in order are unknown,unknown,unknown,and no. I used a simple swivel depth gauge and a protracter to get the angle of 5 degrees and a digiatal cal. to get the upper and lower measurements of .980 and .890 in. Per the VE drawings the wing attach pins have a 10 deg taper. If the fittings came from Kan Brock (99% did) then thats what they will be. 4130 steel heat treated & cad plated. If you are working on a VE then you should have a copy of the drawings. All this stuff is in there. Have not been able to get a set of plans yet but have some in the works. I wonder if the 10 deg is achieved from both sides because I only measured from one side and 5 deg is alot to be off.